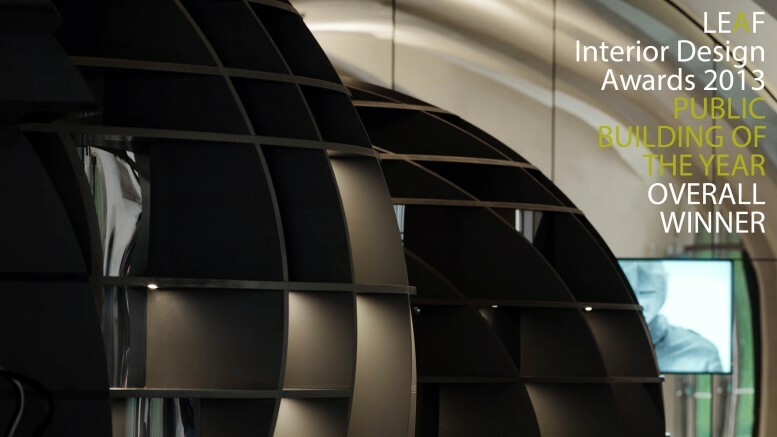 INNOCAD in cooperation with ANASTASIA SU and KMKG Stuio won two prizes at Leaf Interior Design Awards 2013. After being shortlisted with two projects, HQ Microsoft Vienna – “commcercial building of the year” and Rolling Stones – “public building of the year”, the winning projects were announced at the awards night in Berlin, October 18th. The project ROLLING STONES, conversion and redevelopment of the ‘Kanonenhalle’ in Graz / Austria and its interdisciplinary concept was awarded in the category “public building of the year”. Furthermore the project was chosen as the overall winner at this year’s Leaf Interior Design Awards. The task of creating a new information centre for Graz Tourismus and, in synergy with this, an attractive entrance to the Provincial Armoury called for an approach transcending architecture alone. The result is a consistent corporate identity combining architecture, media and merchandising aspects. The aim to establish the Cannon Room as a platform for Graz as a City of Design was absolutely achieved and boosts its international position successfully.